The article provides facts and information about Sioux land. The Native Americans including the Sioux tribe had never developed a system of private land ownership like the European settlers. Native Indian land was not owned by individuals. It could not be sold. Sioux land therefore belonged to the whole community. But there were tribal boundaries. Sioux land was recognised by the settlement of the tribe within the boundaries of their territory. The Sioux Land that was home to the tribe, as indicated on the Sioux Land Map, had been occupied by the tribe before the arrival of the Europeans. 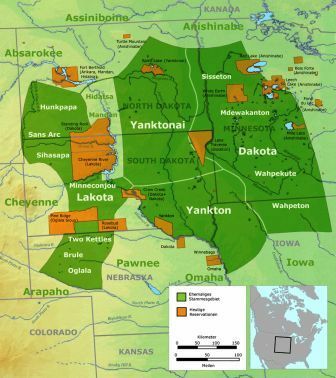 The ownership of Sioux land became the source of the bitter conflicts between the white European settlers, the U.S. and the Native American Indians. 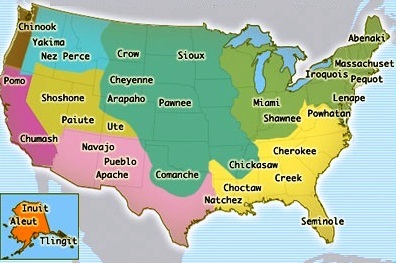 The Tribe Location Map provides a bird's eye view of the Sioux land and their proximately to other famous Native American tribes and their tribal territories. The Sioux Native Indians, together with the other Native American tribes, were removed from their land and sent to inhospitable reservations. Sioux Land. 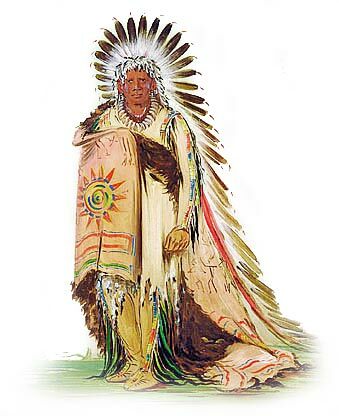 Discover the vast selection of pictures and videos of Native Indians. The pictures show the clothing, weapons and decorations that can be used as a really useful educational resource for kids and children of all ages. Our series of videos enable fast access to the images, pics, paintings and pictures together with information and many facts. We hope that this article on Sioux Land will assist in your studies or homework and that you will enjoy watching the videos featuring many pictures of the Native Indians. A great educational resource for kids on the subject of Native American Indians including the Sioux tribe.